The fairies of the forest interfere with the lives of mortals attending the wedding feast of Theseus, Duke of Athens, and Hipployta, and the realms of mortals and fairies collide on one magical midsummer night. Arguably the greatest English-language playwright, William Shakespeare was a seventeenth-century writer and dramatist, and is known as the "Bard of Avon." Under the patronage of Queen Elizabeth I, he penned more than 30 plays, 154 sonnets, and numerous narrative poems and short verses. Equally accomplished in histories, tragedies, comedy, and romance, Shakespeare's most famous works include Romeo and Juliet, Hamlet, Macbeth, King Lear, The Taming of the Shrew, and As You Like It. Like many of his contemporaries, including Christopher Marlowe, Shakespeare began his career on the stage, eventually rising to become part-owner of Lord Chamberlain's Men, a popular dramatic company of his day, and of the storied Globe Theatre in London. Extremely popular in his lifetime, Shakespeare's works continue to resonate more than three hundred years after his death. His plays are performed more often than any other playwright's, have been translated into every major language in the world, and are studied widely by scholars and students. 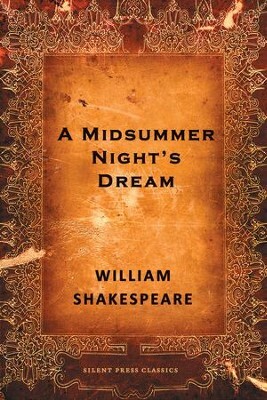 I'm the author/artist and I want to review A Midsummer Night's Dream: A Comedy - eBook.